Stroll 100 metres down the road and visit the Picnic Point Farm Door for local farm produce of fruit, eggs, honey and jams as in season. Continue the stroll down the lane way and discover the Picnic Point Reserve hill crossing the walkways over the wetlands of the waterbird habitats to take in the sweeping views of the river and rolling green country side from the top of the hill. Continue on along the path beside the river and take the Mitchell River walk to a cafe in the CBD, situated by the river side. Visit the East Gippsland Art Gallery located by the river in Bairnsdale, Koori Art Gallery and Aboriginal Cultural Museum, St Mary’s Cathedral with its painted vaulted ceilings, craft and specialty shops in town. Bring your bicycles or horses and go for a ride on the East Gippsland Rail Trail. The Rail Trail is shared between both types of riders. Click here to visit the East Gippsland Rail Trail webpage. Take a day trip to explore the artists’ studios in Nungurner - repose metalwork, hot glass and ceramics studios. Stop and have lunch in Metung and take a stroll around the lake or go for a swim. Drive up to the High Country either to the Dargo High Plains or the Great Alpine Road exploring the small towns on the way, stopping at the Bruthen hilltop bakery, on the way to Omeo or Mt Hotham for sightseeing or a day’s skiing during the snow season. Hire a boat on the Gippsland Lakes from Paynesville or Metung, go motor cruising, sailing, fishing or dining and admire the views and boat around the lakes. 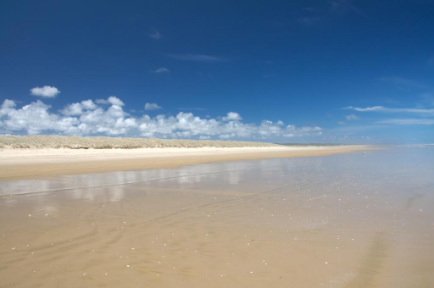 Take a drive to Marlo stopping at Lakes Entrance for lunch on the way; enjoy the wide open spaces and salty breeze of the Marlo Ocean beach. Enjoy the local surrounds catching up with your favourite book in the garden. 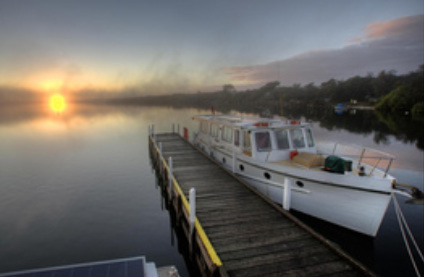 Stop in at the Lakes and Wilderness East Gippsland Tourist Bureau in Bairnsdale on the Main Street taking advantage of their booking service, wealth of knowledge and friendly service to choose and book the itinerary that suits you.